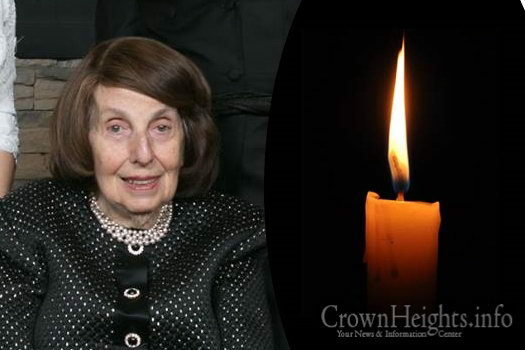 With sadness we inform you of the passing of Mrs. Rachel Zippel, OBM, of Milan, Italy, a holocaust survivor and matriarch of a large family that includes many Chabad Chassidim and Shluchim all over the world. She was 90 years old. 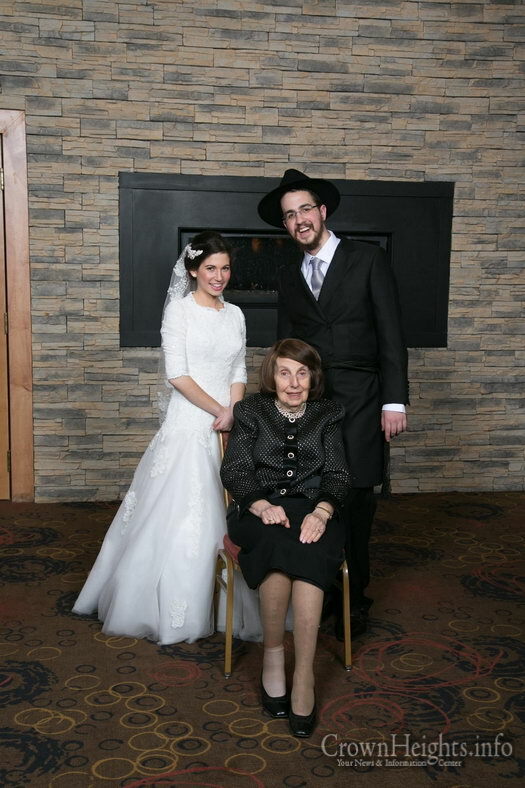 When World War II broke out, Mrs. Zippel was living in the Netherlands, from where she was deported to Westerbork Concentration Camp along with her family. Her brother and sister were taken away to Auschwitz, where they died at the hands of the German Nazis YMS. After the war, instead of despairing at her loss, she set about rebuilding her life and family from the ashes of the Holocaust, settling in Milan, Italy. 1-Nonna was a Holocaust survivor, who lived on with the mission, to help the world and the people that lived in it appreciate, how truly lucky and blessed they were. Nonna would cringe if she ever heard us arguing over who would get the last piece of whatever it is, or worse yet, if we ever walked in and pronounced ourselves “starving”. Starving and fighting over food was for a different world, a world she had merited to make it out of, unlike so many near and dear to her, and she would remind us as often as possible of the tremendous gifts that we had. 2-No one, and I mean no one, had it better than Nonna, and if you didn’t believe it, she would darn well let you know it. She was fiercely proud of her beautiful family, her children grandkids, and great grandkids were her pride and joy, and if you ever lent her an ear for just a short few minutes, you were gonna hear the list of their accomplishments. Spread throughout the world, they were hers, they were making a difference, and she couldn’t be prouder! 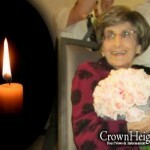 We’ll miss you, Nonna! Thanks for all you’ve taught us, we’ll keep being grateful, and we’ll keep making you proud! 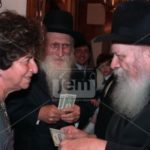 She is survived by her five children: Mr. Giacchi Zippel (Milan, Italy), Mrs. Ildo Minkowitz (Milan, Italy), Mrs. Sonia Weitman (Sao Paulo, Brazil), Mr. Raffi Zippel (Milan, Italy) and Rabbi Benny Zippel (Salt Lake City, Utah) as well as many grandchildren and great-grandchildren following in her righteous and cheerful ways. The levaya took place today, Friday, in Lugano, Switzerland. 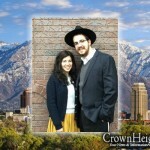 Rabbi Benny Zippel, head Shliach to the State of Utah, with his mother. 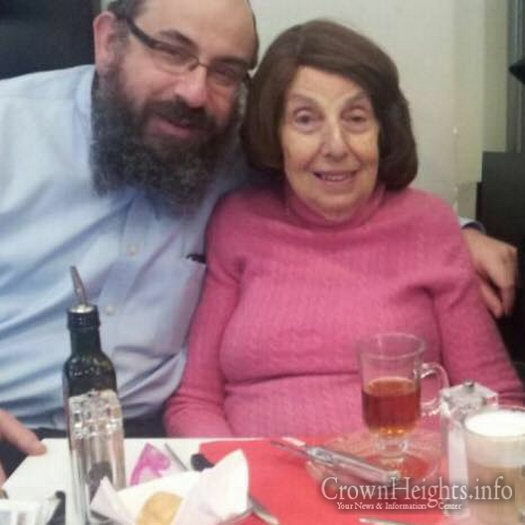 Four of the children will be sitting Shiva in Milan, Rabbi Benny Zippel will be sitting Shiva in Salt Lake City and will be accepting visitors on Tuesday and Wednesday. Dna Sonia e querida fam Weitman! Q possamos escutar so boas noticias! Ethel, Andre Lichewitz e fam.